The Grand National is one of the biggest races on the horse racing calendar anywhere in the world, with a following that includes a huge amount of people who don’t normally watch horse racing. Both serious fans and once a year punters get together to enjoy the action from Aintree, culminating in the big one. The most important part for everyone reading is this, the Grand National will take place on Saturday, and will go off at 5:15pm. As for the rest of the meeting, this begins on Thursday, with Saturday being the final day. Each day, the action begins at 1:45pm, and seven races are scheduled to take place. With the gaps between the races on Saturday larger to accommodate the Grand National, the last race on that day is not until 6:20pm, while the race finishes at 5:15pm on the first two days. ITV Racing will be at the meeting every single day, and starting with the second race on the card, they will cover five races each day. On Saturday their coverage ends with the Grand National, but they will be on air long after to see the winner and connections of the horse to get all the post-race reaction. The focus of the race will all be on Tiger Roll, who is aiming to win the race for consecutives years. He would be the first horse to do that since Red Rum, and is a hot favourite for the race after demolition the field at Cheltenham. He could also be the shortest priced winner we have had for a long time too, as punters are expected to continue backing him ahead of the race. Anibale Fly was another horse to impress at Cheltenham, finishing second in the Gold Cup and he looks to have a great chance of going better than his fourth placed finish last season. He arrives in better form and fresher, this is just his fourth run of the season, all of which points to a big run. Lake View Lad and Vintage Clouds were separated by very little when pulling away from a good field at Cheltenham to finish 1st and 2nd in a handicap there. Both horses are from the North, and they both appear to be the best chance they have of training the winner. Vintage Clouds is a grey horse, and looks to be best of the greys for those who like to back them. Of those at bigger prices, Pleasant Company was second behind Tiger Roll last season, and although the form this season hasn’t been as good, the weight are in favour of that horse to turn things around. Another bigger priced runner to note is Ramses De Teillee, who is only seven so may need the experience this year, but he has done nothing wrong in big staying chases so far in his relatively small career. 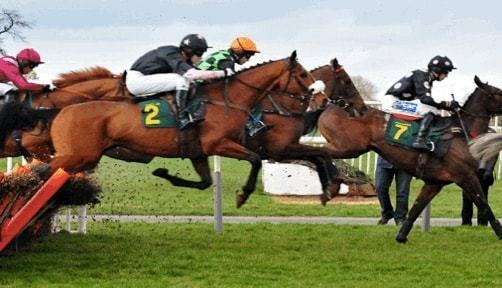 He finished just half a length down when second in the Welsh National over Christmas. Tiger Roll is the 7/2 favourite to win back to back Grand Nationals, and despite being so short, punters continue to back him. Rathvinden is next in at 9/1, while Gold Cup second Anibale Fly is available at 11/1. Vintage Clouds and Lake View Lad are close in the betting as expected, with Vintage Clouds at 12/1 and Lake View Lad available at 14/1. Pleasant Company is 18/1 to go one better than last season, while Ramses De Teillee is 25/1 to land the race for trainer David Pipe.